If you find yourself identifying with most of the above statements, you are likely to enjoy and benefit from being a member of the TCNJ Honors Program. Entering first year students who demonstrate high academic achievement in high school and the desire to engage in challenging courses and projects are selected for admission to the TCNJ Honors Program. Students are invited to become members of the Honors Program as part of their admission to TCNJ. Typically, students must have scored 1240 or higher on the SAT (with a minimum 600 for Math and 640 for Evidence-Based Reading/Writing) or scored a 26 or higher on the Composite of the ACT and are in the top 15% of their high school class for consideration to the TCNJ Honors Program. In recent years, students admitted into the Honors Program have an average SAT above 1400 and/or an ACT above 31 and an average high school class rank in the top 5%. 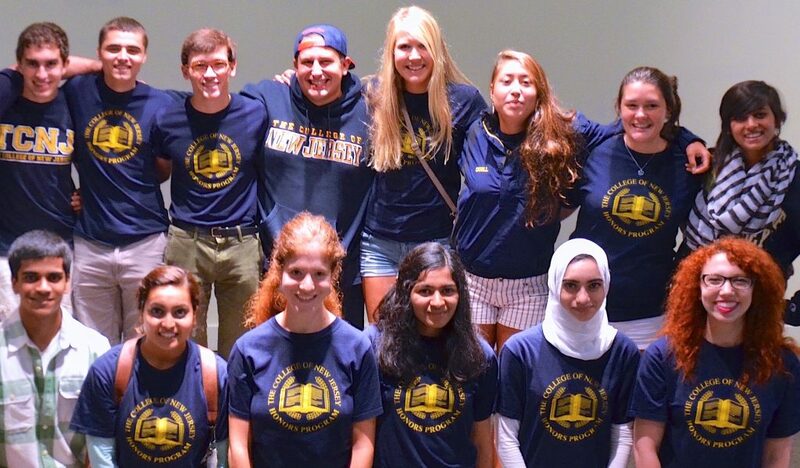 Less than 10% of incoming First Year students are invited to join TCNJ’s Honors program. Matriculated and Transfer students may apply to join the program after completing at least 4 units (4 units at TCNJ are typically equivalent to 12-16 credits at other institutions), with a GPA of 3.50 or higher. Application materials are available in the Honors Program Office (Green Hall, room 109) or print out and return the following documents. Entering First Year students will be evaluated as part of the TCNJ admissions process and will be invited to join or apply.